Steven Barrett is Principal at Hamburg, Rubin, Mullin, Maxwell & Lupin. 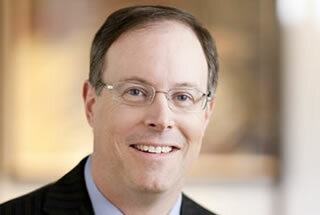 He serves as Co-Chair of the Firm’s Litigation Department and Chair of its Personal Injury Practice Group. Steve has counseled and represented individuals on a wide range of matters concentrating in medical malpractice and personal injury matters, including victims of sexual assault and abuse, constitutional claims (police misconduct and abuse), and asbestos litigation. With his significant and notable jury verdicts, Steve enjoys a well-deserved reputation as a premier trial attorney throughout Southeastern Pennsylvania. He has successfully tried many complex cases in Philadelphia, Montgomery, Bucks, Lehigh, Northampton, Berks and Delaware Counties. Since 2003, Steve has obtained settlements and verdicts for injured people, totaling in excess of twenty-five million dollars. See Steve’s representative results below. Steve also has significant commercial and real estate litigation experience, which includes the representation of corporate clients involving corporate trade secrets, unfair business practices, commercial financing, non-compete clauses and business divorces. Through the Pennsylvania Supreme Court, Steve served by appointment as a Disciplinary Hearing Committee member considering issues of misconduct within the legal profession. Steve formerly served on the Board of Directors of the Montgomery Bar Association, and is a past president of its Young Lawyers Division. He currently serves as Chair of the firm’s marketing committee and mentors associates in the practice of law and business development. A graduate of the University of Michigan, (B.A. 1987), Steve received his law degree from Temple University (J.D. 1992). Lecturer for Pennsylvania Association for Justice. Topics include Closed Head Injuries, Pennsylvania’s Automobile Insurance Law and Ethical Considerations of Lawyers to Produce Expert Witness Reports. Past Lecturer, People’s Law School of the Montgomery County Bar Association on How to find an attorney and the attorney-client relationship. Proficient in Spanish, still plays pick up basketball at a not so young age, makes pancakes from scratch for his family almost every weekend, and has a penchant for singing and dancing in professionally directed musicals. In a high profile case, Steve represented the estate of David Sale, the young man who was killed during a Philadelphia Phillies game. Steve sued the Phillies, McFadden’s Restaurant, and the owners of the parking lot where Mr. Sale was killed. After extensive discovery and before the case was listed for trial, Steve secured a confidential, but substantial, settlement for Mr. Sale’s estate and his beneficiaries. Tried a medical malpractice case in Philadelphia against multiple defendants, securing nearly $3 million. Obtained medical malpractice verdict in Philadelphia for client who suffered eyelid droop after cosmetic surgery (one of the 50 highest verdicts in 2017). Obtained a $7 million jury verdict in Montgomery County for the estates of a married couple killed in an auto accident. Obtained a $1.2 million settlement for two teenagers who were severely injured in an auto accident in Bucks County. Tried a medical malpractice case securing a $1.1 million award. Tried a medical malpractice case in which client was suffering from bone cancer but mis-diagnosed with bone contusion. Steve obtained an $800,000 settlement during trial in Monroe County. Tried medical malpractice case in which client was discharged from emergency room of Wilkes-Barre Hospital while demonstrating signs of suffering imminent stroke. Steve obtained an award of $750,000. Obtained a $1.7 million jury verdict in Philadelphia for the family of a deceased man who died from asbestos-related esophageal cancer. Obtained a $1.5 million jury verdict in Philadelphia for the family of a deceased man who died from asbestos-related asbestosis. Obtained a $5 million jury verdict in Philadelphia for a gentleman suffering from asbestosis. Secured a settlement of $900,000.00 against a clothing manufacturer for a woman who suffered second and third degree burns when her garment caught fire. Steve claimed that the garment was defective and unsafe in not meeting flammability safety standards. Represented a developer who had been paying off a 25-year construction loan for twenty years when the client realized that the bank was calculating the total pay-off with a higher interest rate, or $500,000 more than originally agreed. The bank wanted either payment of the $500,000 or additional payments of $5,000 per month for an additional 15 years. Steve brought suit against the bank and, after trial, the court ruled that the bank was wrong with Steve’s clients being relieved to pay any additional money. Successfully defended a corporate client that was sued by a company claiming that the client stole trade secrets and business away from the company, costing the company in excess of $2.5 Million in lost profits and the value of the company. After the company’s preliminary injunction was denied by the court, the case proceeded to be tried before a twelve person jury. The jury reached a verdict, finding completely in favor of Steve’s client. Represented a nationally recognized builder that sued a sewer authority for the reduction of fees under a Pennsylvania statute that had yet to be interpreted by the courts of PA. Steve brought the first case in PA with interpretation of the statute being of first impression. After trial and exhaustive briefing of the legal issues, the court found in the builder’s favor, saving the client hundreds of thousands of dollars. With the success and notoriety of the case, Steve has attracted many developers, challenging the fee schedule of sewer authorities under the same statute. Steve has not lost a single case, recovering millions of dollars on behalf of his clients. In Federal Court, Steve successfully defended against a lawsuit claiming ownership of property by reason of adverse possession, which is a doctrine of real estate rarely employed in declaring ownership of property in the absence of legal title. After a week-long trial, the federal judge found in favor of Steve’s client.